When I first made these recordings my idea was to interweave the fictional story of the podcaster with my best efforts at an analysis of the sonnets. As I went on I became more and more interested in the analysis and less and less interested in the fictional story. 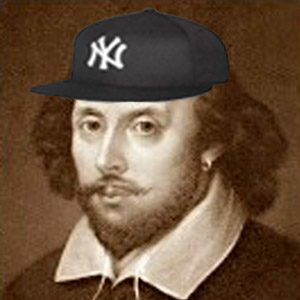 It’s true that I’m from New York, and it’s true that I have no special training in Shakespeare or literary analysis. It’s not true that I was ever sentenced to community service and the material about the podcaster’s family is completely made up. I had hoped to get through all the sonnets, instead, I only made it through number 48. Life intervened (as it does). I always intended to come back to the project and someday maybe I will. In the meantime, I hope you enjoy the work I did. Sorry to hear about your dad, Hamlet, but hey that means you’re king of Denmark now, right?